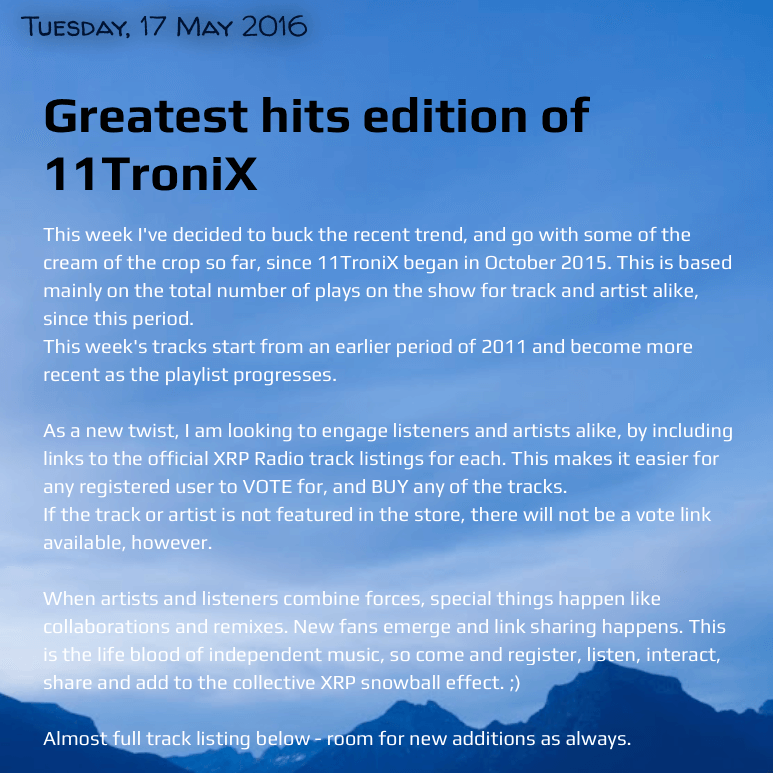 This week I’ve decided to buck the recent trend, and go with some of the cream of the crop so far, since 11TroniX began in October 2015. This is based mainly on the total number of plays on the show for track and artist alike, since this period. 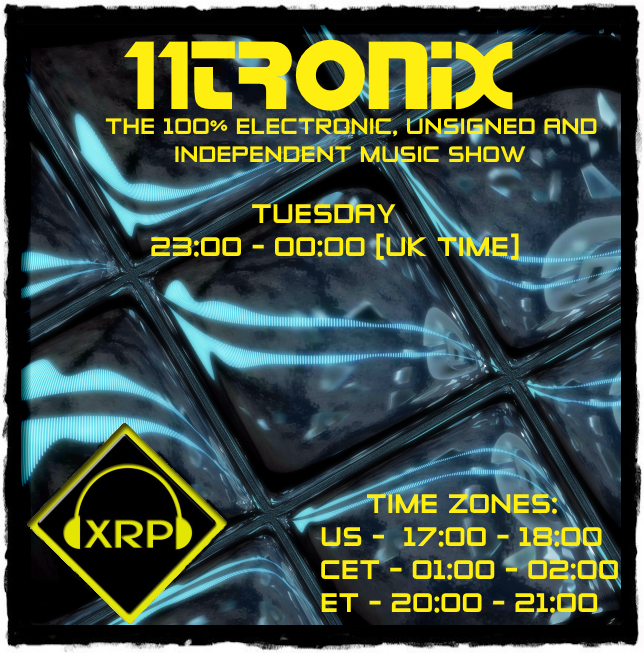 This week’s tracks start from an earlier period of 2011 and become more recent as the playlist progresses.As a new twist, I am looking to engage listeners and artists alike, by including links to the official XRP Radio track listings for each. This makes it easier for any registered user to VOTE for, and BUY any of the tracks. If the track or artist is not featured in the store, there will not be a vote link available, however. When artists and listeners combine forces, special things happen like collaborations and remixes. New fans emerge and link sharing happens. This is the life blood of independent music, so come and register, listen, interact, share and add to the collective XRP snowball effect. 😉 Almost full track listing below — room for new additions as always.